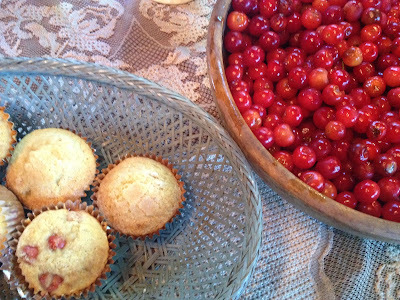 Lines from Linderhof: We Love Cherries! who gifted me with all of these lovely cherries. And we're a purist . . . So we had it plain! Oh Martha, what beautiful food you make!!! Beautiful cherries and I can almost taste that pie! 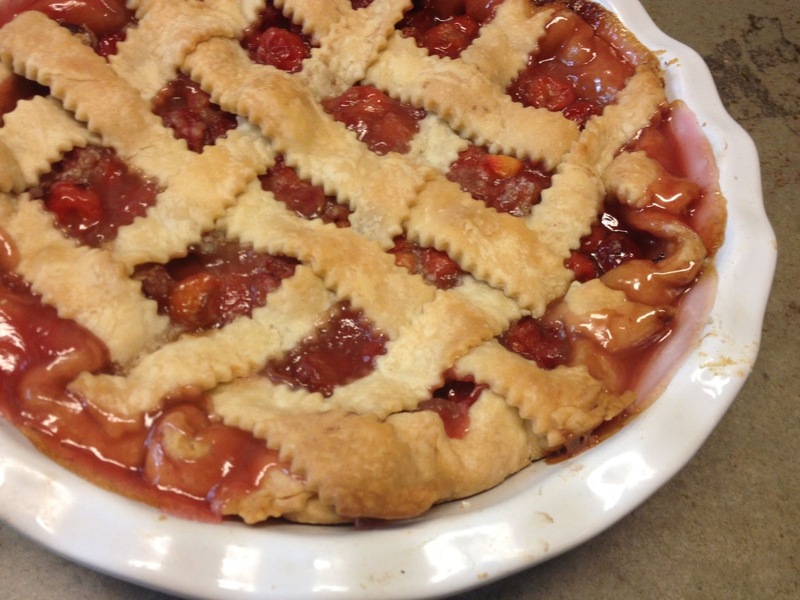 Oh wow, beautiful pie! I need to learn to make the lattice crust on top, yours look perfect! Yum! Is this when your cherries always ripen? We always picked cherries around July 4th in upstate New York where our cottage is. 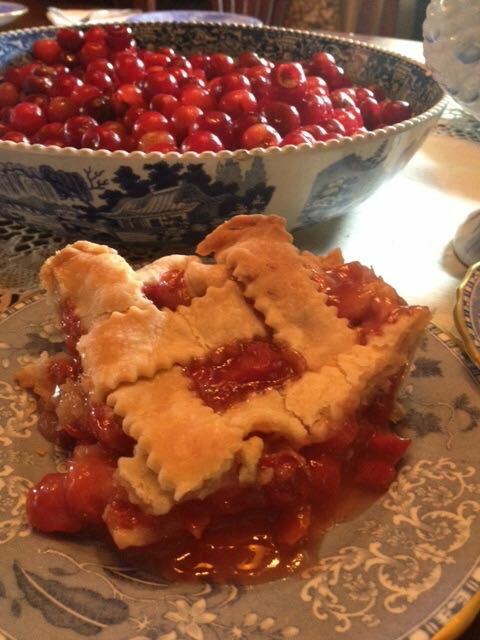 I adore cherry pie and always think of my mother in law when I see one. She made the best...used Crisco for the dough, the old fashioned way! 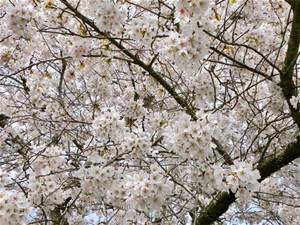 Although we have three huge cherry trees, I have never seen a cherry on mine! Absolutely love cherries and all things cherries. 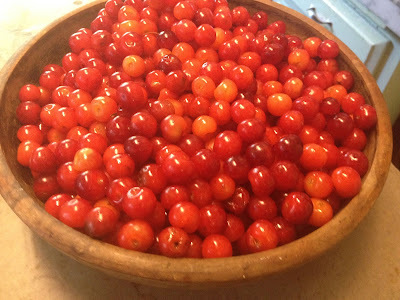 There were cherries on my tree this year and right before they were ready to pick the squirrels and birds ate them all. I'm with you Martha, and would not need any ice cream with a slice of your warm cherry pie. It looks absolutely scrumptious. How nice of your friend to share those delectable cherries with you.